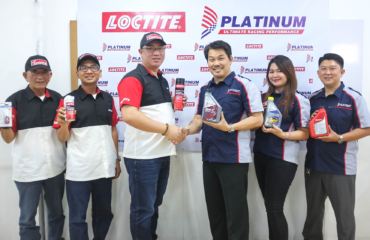 PLATINUM Lubricants: the Ultimate Racing Performance finally unveiled its main products to the public last July 28 and 29, 2017, signifying its entrance in the retail lubes industry. 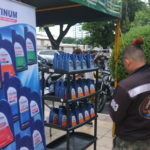 Held by manufacturing company Oracle Petroleum Corporation (OPC), the 2-day event served as an introduction to the public in recognizing PLATINUM as a new emerging presence as it is set to become the most sought out product in the lubes market in the upcoming years. PLATINUM is an in-house brand made by OPC since 2002, with distribution of products catering to dealers and distributors. Such products catered by PLATINUM are automotive, industrial, mining, construction, and marine, with its grand reveal starting on its automotive line. 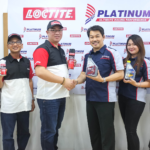 During the reveal, PLATINUM successfully revealed its products, ranging from premium to fully synthetic lubricants, such as gasoline and diesel engine oils, motorcycle engine oils, and general maintenance products. 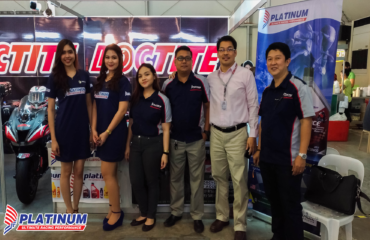 PLATINUM aims to cater to the nation’s motorists, with distribution of its products to dealers, distributors, and retailers happening nationwide after the event. 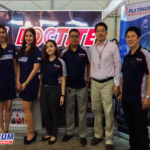 “After all these years, we’re finally ready to step out of the shadows and break into the lubes industry as a product that you will surely come to love and afford”, said by OPC President and CEO Frederick Christian O. Siy. Activities and seminars were held during PLATINUM’s product launch to better increase brand awareness and product knowledge to the public. 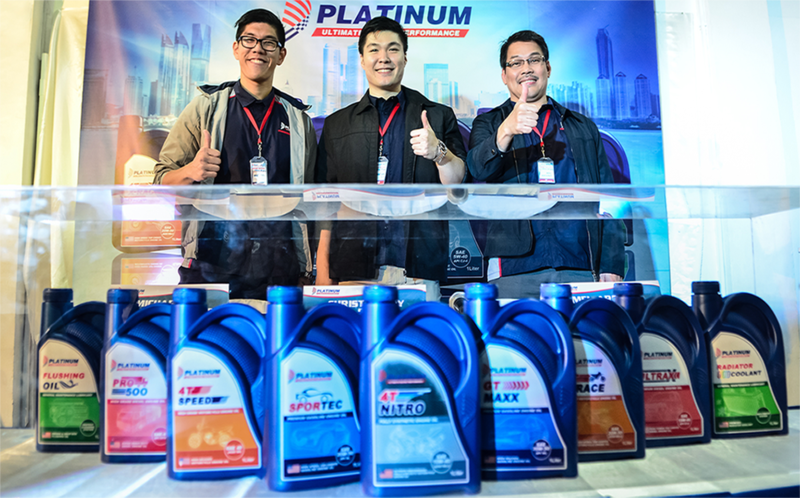 Interested dealers and distributors, as well as small entrepreneurs and start-up businesses, were invited to PLATINUM’s Distributorship program and its “Ready, Set, NeGOsyo!” program to extend PLATINUM’s reach to the market. “PLATINUM has existed long enough to cater to its clients, and now we are bringing our products to your hands,” Mr. Siy said. PLATINUM also held a motorcade on the second day composed of various bike clubs that helped generate exposure along the Metro. 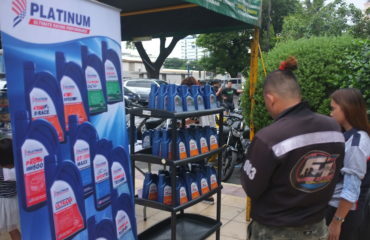 All participating riders were given PLATINUM products such as the new 4T X-Race, a premium multi-grade motorcycle engine oil, and 4T Nitro, the best-in-class fully synthetic motorcycle engine oil. Bike clubs in attendance were the following: El-Tigre Riders Club, Inc., Kawasaki Rouser Owners Society, Soul Matte Ph, MIMC Zone 2 Team Angat, Honda Beat PGMFI Nation, Honda Beat Enthusiasts PH, Skydrive Society, Club CB110 Philippines, Like Owners Society, Tribu Pabelat Riders Club, NMAX Club Philippines Inc., Rouser Club of the Philippines, Euro Motor Riders Club, Tamaraw Riders Club, Wave 100 Underbone Club, Team Bets, Team Gala, Philippine Riders Club, Kabalikat Q.C. Chapter, Bulacan Patriots, Brotherhood Philippines, Predator Philippines Riders Club, Bulacan Motorcycle Riders Federation, SZ-R Bulacan Riders, and the Riders Safety Advocates of the Philippines.